Dropping their sponsorships of the controversial football body might cost them as much as the deals themselves. LONDON: There is intense public pressure on FIFA's biggest sponsors -- McDonald's, Coke, Hyundai, Gazprom, Budweiser, and Adidas – to take a stand and withdraw. The football body is the subject of two separate investigations by Swiss and US authorities over alleged corruption within its ranks. Its selection of Qatar as the 2022 World Cup host has also been heavily criticized after hundreds of migrant workers were revealed to have died during stadium construction work. As Trevor Cairns, a former CMO at Nike-owned Umbro puts it, any brand under normal circumstances would have "run a mile" away from FIFA. So why haven’t they? 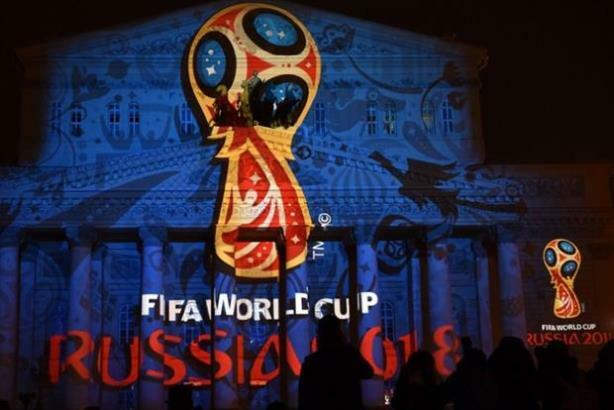 Several tier-one and tier-two FIFA sponsors actually did sever ties after last year’s World Cup. Sony, Emirates, Castrol, Johnson & Johnson, and Continental all decided not to renew their contracts, though none blamed the rumblings at FIFA directly. But Nick Johnson, partner at Osborne Clark and board director for the European Sponsorship Association, suggests the current crop of sponsors might have trouble getting out of their contracts early. All will have a "morals clause" baked into their deals, giving them a chance to exit if a scandal occurs. One example is Nike dropping Lance Armstrong in 2012 after incontrovertible proof that he was doping. Arguably, the indictment of multiple FIFA officials and the Qatar human-rights abuses should qualify as a scandal. But Johnson suggests it might not be enough because the charges involve individuals rather than FIFA as a whole. "Even if multiple individuals are convicted, that may not be enough to trigger a morals clause," he says. "Generally, FIFA is in a strong bargaining position with new sponsors. I would expect the contracts to be pretty FIFA-friendly. If there is anything, it might need to be a criminal conviction actually involving FIFA." And if brands were to terminate their agreements anyway, this might cost them as much as the entire sponsorship deal. "There would be significant financial consequences, such as damages for breach of contract," Johnson says. The sponsors have also attracted criticism for their mealy mouthed statements on both the migrant-worker deaths and the indictments. Only Visa went further by threatening to reconsider its sponsorship agreement with FIFA. One reason for their identikit statements may be that they are bound by confidentiality. In light of this, Visa’s public threats seem remarkable. "Some sponsors have been more vocal than you’d expect, publicly," Johnson says. "It’s a trend that sponsors have become more prepared to stick their heads above the parapet and actively engage with the public conversation." A combination of media pressure, social media commentary, and "sophisticated" understanding of CSR means few of the brands are willing to stay completely quiet. Johnson suggests that means it could do more harm than good for the sponsors to quit. "It’s all very well saying they should walk away, but does that really help?" he asks. "They’ve got established relationships, they’ve got leverage; it’s going to be easier for them to work within existing parameters than for any new sponsor coming in." Nonetheless, Johnson acknowledges the question for sponsors has become more urgent with the re-election of FIFA president Sepp Blatter. Though Blatter has denied corruption, many regard him as the most poisonous element in the increasingly toxic FIFA. "[A] dictatorial rule continues with a leader who was in-place during the whole period this criminal investigation covers," notes Cairns. "It’s impossible to believe genuine reform will take place under his watch – he’s promised it for years and yet look where we are today."